Home & Recreation services include professional pool table tear down, transportation and set up with pro-table leveling. We can use your existing pool table cloth if you are happy with it. Guaranteed satisfaction and leveling on applicable pool tables. Home & Recreation can move pool tables from residence to residence and for businesses also. We install new and used pool tables all over the metro Atlanta area. We come to your home, cover rails and professionally level all 3 pieces of slates using precise leveling equipment. Make sure you tell us in advance if you want to recover your pool table in new cloth. 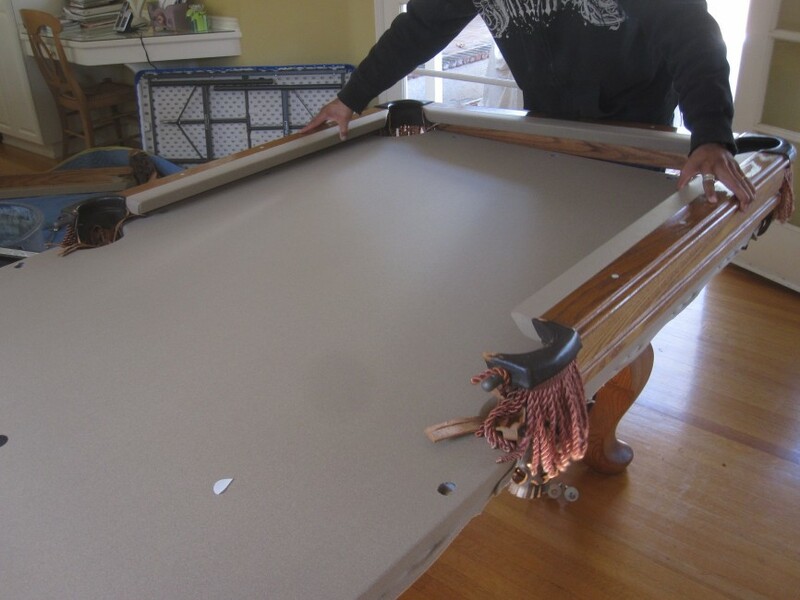 The best time to refelt your pool table is while we have it disassembled. Customers can choose from over 30 different colors of Teflon coated pool table felt. We use the highest quality pool table cloth the industry has to offer at this time. Home & Recreation works with standard woolen pool table cloth and tournament grade worsted materials as well, including name brands like Simonis. What color do you need for recovering your pool table? Call us and we’ll make sure we have it on hand for your job. Standard pool table moves start at $299. Give us a call and let us know how we can help you get your current table renewed or moved to it’s new location. We can prepare you a personalized quote, specific to your current situation and location.